There’s so much hype around email marketing software nowadays. 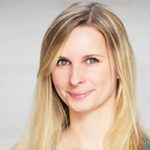 Everyone is pressing down on you trying to persuade that their oh-that-super-unique solution is the best for your eCommerce site. And never-sleeping customer care team ready to support. “Why on earth should I use any of these email marketing platforms? I’ve got a small eCommerce site. I do not have extra money for any email marketing tools, no matter how good they are. I can easily get away without them”. Yes, you’re right, some marketing solutions may cost you a fortune. However, not all of them are that expensive. Moreover, if you’ve already got some budget to spend on promotions, email marketing may be the very tool to do so. And here is why. Using email marketing software can help businesses of all sizes especially growing ones, that cannot yet afford mass hiring, but already need to send out nice-looking email blasts, generate leads with signup forms and convert off-the-street customers into standing ones using basic automation tools and functionality. You know, old-school Excel spreadsheets coupled with ThunderBird or AppleMail for sending emails, filtering spam and list segmentation and management no longer cut the mustard. And hiring dozens of support guys to follow-up your customers is not cost-efficient at all. Using email marketing tools is the best way to optimize your workforce, which is especially beneficial for starters. 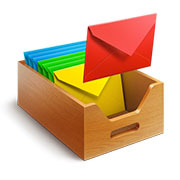 According to DMR statistics, an average office worker receives 121 emails per day. Just imagine, if he spends as little as 2 minutes to type an answer for one customer, it will take him the whole 4 hours to sort out his inbox. And this is half a working day! Then about sending newsletters. Sending emails one by one will kill another part of your employee’s 8-hour working day. Plus, keep it in mind that the number of email recipients is also limited, as it’s next to impossible to type personalized emails to many customers. Otherwise, you will rub your fingers to the bone typing. Do you really need a real human to manage your email marketing campaigns when there are perfect lightning fast robots available for a reasonable price? There is also a great deal of advanced email marketing tools, the free ones, that can do that easy task in a split second. It means that you may send thousands of marketing and transactional emails without hiring anyone, spending a penny and lifting a finger. And while the pricing of email marketing tools is based either on the number of emails sent or the size of a mailing list, marketing automation costs more regardless of anything. Choosing the best email marketing software with the features you need for the price you can afford is possible though tricky. The price is usually based either on the number of emails you have to spend a month or on the size of your mailing list. It’s unlikely that you will need an advanced email marketing software if sending newsletters is not what you are going to concentrate your efforts on. But if you are planning to run expansive marketing campaigns, with split and a/b testing to compare the effectiveness of different emails or subject lines, marketing automation, autoresponders, RSS, third-party API integrations, advanced statistics and many other useful tools, you will have to get a powerful email marketing tool that usually costs money. 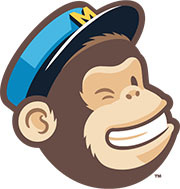 For example, if you have around 2,000 subscribers and plan to send no more than 12,000 emails per month, MailChimp will be forever free for you. Mailjet’s is probably the most generous email marketing system — its free plan bags you 100,000 contacts and you get to send 6,000 emails a month. The free test plan of Zoho Campaign web-based solution unlocks even more — 12,000 emails and 2,000 subscribers a month. Quite convenient for those who loves playing email ping-pong with their customers, isn’t it? Pricing starts with only $5/month. Some advanced email marketing service providers, like Campaign Monitor or Constant Contact, have only a free trial. The costs of their basic plans vary from $9 to $20 a month. A significant part of our customers is running a ‘one-man show’. They do everything — from manufacturing products to shipping orders around the world, leaving next to no time for their families. So it goes without saying, that time optimization is much needed for businesspeople. With that in mind, marketing automation has become a popular buzz-word over the last few years. It was invented to help eCommerce site owners start drip campaigns when a sale is completed, then schedule and distribute personalized emails based on what your customer purchased, automatically capture user emails through signup forms and summarize these user lists under one roof. I know. Most email marketing providers have a reputation of being rather budget-unfriendly and challenging to manage. But don’t be trapped by conventional wisdom. There are lots of budget-friendly and easy-to-use automation tools focused on vetting contacts and getting them back to abandoned carts. 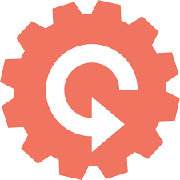 Contactually can be a good example of an advanced automation software. It collects contacts from your email inbox, website, and social media profiles, and then tells you the best moment to reach out to them. HubSpot is also considered to be one of the best automated email marketing software. Ability to create tags is the defining feature of Hatchbuck, a small email marketing software for small businesses. It allows you to assign different labels to your users based on their interests or the stage of the funnel they are in at the moment. 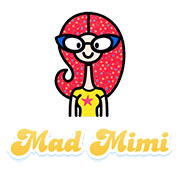 Mad Mimi is an easy to use email marketing platform for non-computer people. With this tool you can create newsletters, signup form and sales landing pages. But it’s not so great if you really want to customize anything. All in all, no matter what email marketing web-based solution you choose for your business, it is sure to save a large amount of your time. All you need to do is to pick the one that fits your needs and pocket. Professionally-looking email newsletters can boost your conversion rates and improve the image of your eCommerce business. That’s why it’s so important for business owners to use email marketing tools that promise the staff for designing email listings. It gives you the opportunity to start from scratch and create custom design using an email editor. Some advanced email marketing tools have drag-and-drop UI. 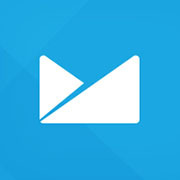 In this case, you can easily build nice-looking emails just by arranging pre-designed elements. No coding or photoshopping required. 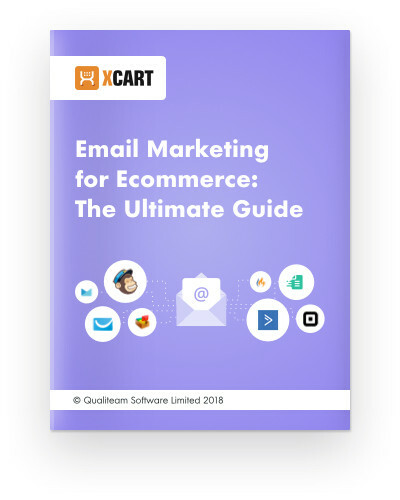 When running email marketing campaigns, you will need to connect your shopping cart to some tracking software to better understand the influence of your message. The good news is that tracking option is already built in most modern email marketing tools, like Campaign Monitor and GetNotify. Both provide interactive and easy to interpret analytics (open rates, click-through rates) that can be used for planning your next campaigns. I’m happy that you know now that using marketing service providers is better for your eCommerce business than mass-hiring ten Jacks-of-all-trades. Ok. Here comes the moment of thinking. You should decide which email marketing tool is right for you. I’d suggest signing up for a three-four trials or starter plans to dig them deep and wide. But that would rob you of your time, be sure. Don’t worry. That’s what the next chapter is here for. You will learn what tools can spur conversation with your customer, show him the route to the right direction and track each of his steps.